Worldwide, people of all races and religions rush off to swimming pools, dams, lakes, the big blue sea and rivers for fun and excitement. From swimming to sailboarding, scuba diving to waterskiing, on, in or under the water, the range of family sporting activities is only limited by the imagination. Let’s explore some of the options, starting from the easier water activities. Most of us learn to swim as children, and that’s the starting place of all the fun to come. Children love the water and their competitive spirit builds as they swim in races at school. The simple act of swimming is broken down into different strokes: breaststroke, crawl or freestyle, backstroke and butterfly. Generally, parents teach their children to swim, and whether on a camping trip or a day trip to the nearest river, this is truly a bonding process. Many prefer to be on the top of the water, as opposed to being in it, and sports such as sailing, kayaking, canoeing and rowing all offer events in which to compete, or just enjoy. The initial cash outlay will be higher than swimming. Each of these specialised crafts vary in price from cheap-and-cheerful to competition class. For example, for competitive rowers there are a number of different boat classes, from the single skull to an eight-person shell, with a coxswain, called a coxed eight. 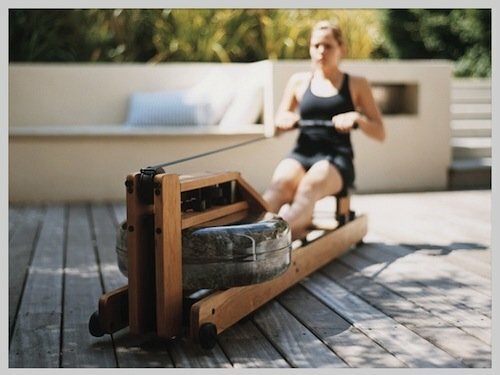 Modern rowing began as a competitive sport in the early 1800s, on the River Thames in London, culminating in the Oxford-Cambridge Boat Race, which started in 1829 and continues today. Two teams of eight compete with the coxswain sitting at the front or back of the boat, physically steering and calling instructions and encouragement to the team. In most families, this task could be done by Mum, after all, she does that every day with her family. And Dad should be helping the kids to row. Canoes are used for racing, whitewater canoeing and general recreation, and the type of function dictates the shape of the hull, the length and construction material. They are pointed at both ends and open on top, with the paddlers kneeling down or in a seated position, facing the direction of travel and using a single-bladed paddle. Generally, a canoe is either single or tandem. Historically, canoes were dugouts, or made of bark, but materials have evolved from a wood frame covered in canvas to aluminium. Nowadays they are made of moulded plastic or composites such as fibreglass so they are light enough for children to paddle. As the family grows up, there are many competitive events worldwide, either canoe sprint racing on still water or whitewater racing on rivers that have both gently flowing water and whitewater rapids. Or spend the day simply paddling along the nearest waterway, enjoying nature. A kayak is similar to a canoe, the difference being the sitting position of the paddler and the number of blades on the paddle. A kayak, like a canoe, is low to the water and the paddler sits facing forward, legs in front, using a double-bladed paddle which is paddled alternately left and right. 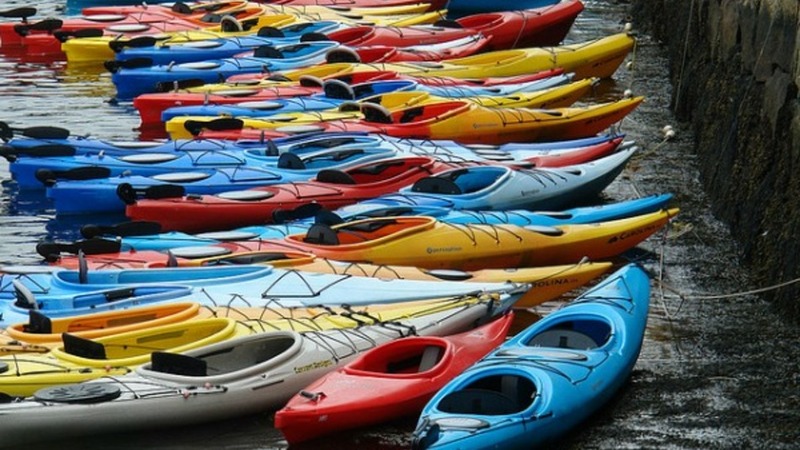 Most kayaks have closed decks, although inflatable and sit-on-top kayaks are growing in popularity. Whilst kayaking can be a recreational pastime on the nearest river or lake, kayaks are also used in whitewater conditions, dodging rocks and high water with their size and agility. They are also used as rescue vehicles on whitewater rafting courses, such as the great Zambezi in Zimbabwe, southern Africa. One of the most exciting and popular watersports is waterskiing. Using either two skis or one – known as a slalom – the skier is pulled along at a high rate of knots behind a speedboat. Generally, the skier starts partially submerged with the towrope between the skis, which are pointed towards the sky. As the boat accelerates down the river, the skier is pulled out of the water using a combination of speed and muscle strength, into an upright position. Then, leaning back and keeping the knees slightly bent, the skier will start to glide over the water. The skier changes direction by shifting weight left or right, and the body weight should be balanced between the balls of the feet and the heels. The skier’s arms should be relaxed but held straight so as to reduce stress. Water skiing is generally done on flat water, such as a slow flowing river or a lake. It is fun for the whole family, of all ages. There are many options available for competitions or pure recreation, such as include trick skiing, show and barefoot skiing, slaloming, jumping and speed skiing. For those of us who enjoy being under the water, there can be nothing better than scuba diving, a convenient mode of underwater diving in which a diver uses tanks to breath compressed air, allowing freedom of movement. This sport requires that practical and written exams are completed, with written certification by instructors affiliated to the diver certification organisations such as PADI. Covered in this course would be general water hazards, emergency procedures and operating of the equipment. Also, the diver would have to have a minimum level of health and fitness, increasing as may be appropriate for higher certifications. This is a costly sport. Aside from the training courses, divers would typically need a dive mask, a full dive suit, fins and buoyancy control equipment. But nothing can beat the absolute peace and tranquillity of swimming underwater along a beautiful reef, with graceful fish, coral and sea creatures. Typically this would be for an older family, capable of writing the exams and completing the physical tests. So whether it’s just for fun, or to compete at the Olympics, hit the water with the children, and just enjoy. Next StoryHow to choose a river cruise in England?